In a couple years, everyone will be talking about how Advanced Glycation End Products are prematurely aging your skin. Right now, it’s just some maverick naturopathic skin doctors, product development officers for major global supplement brands, and a whole lot of scientists whose research is buried in esoteric terminology like “fructosamine kinases” and “in situ” on PubMed. You may not have heard of Advanced Glycation End Products before, but you will. Trust us, as the Standard American Diet (SAD) continues to devolve into a sadder state of processed foods, and obesity balloons from epidemic to pandemic, you will hear more about the role of these glucose metabolism byproducts in the sagging, wrinkled skin of the tired and waddling masses. What Are Advanced Glycation End Products? Sugar (glucose) binds to protein in a process called Glycation that provides energy for your body. The process also produces gum-like waste products, Advanced Glycation End Products (or AGEs), that build up in the eyes, organs, brain, skin, nerves, joints, muscles, and blood vessels. Glycation reactions are taking place in your body every day. The rate of waste product formation is dependent on various factors, including age, health, and blood sugar levels. Diabetics are particularly vulnerable to AGE accumulation due to elevated blood sugar levels. In the Early Stage, the reactions are rapid and the molecular products created are unstable but relatively harmless. Often these “Early Glycation Products” or “Schiff’s Bases” break down into the same molecules that created them. In the Intermediate Stage, the Early Glycation Products go through a molecular rearrangement to form more stable “Intermediate Glycation Products” called “Amadori Products.” These reactions can also reverse themselves and recreate Early Glycation Products. In the Advanced Stage, Advanced Glycation happens as Intermediate Glycation Products degrade due to a host of factors. The Advanced Glycation reactions are virtually irreversible and form the tar-like residue we know as AGEs. You can also inhale AGEs by smoking cigarettes, and eat them in a diet high in fried foods. Regardless of how you get them into your system, they contribute to the unpleasantries of aging as their name implies. Because of their molecular structure, AGEs bind to the amino groups of tissue proteins in abnormal ways. This phenomenon is called “cross-linking,” which causes tissues throughout the body to become inflexible, deformed, and dysfunctional before their time. In the skin, AGEs bind to collagen, the major structural protein that is responsible for firm, youthful skin. To date, nine AGEs have been detected in skin, most of which are in the dermis and target collagen. 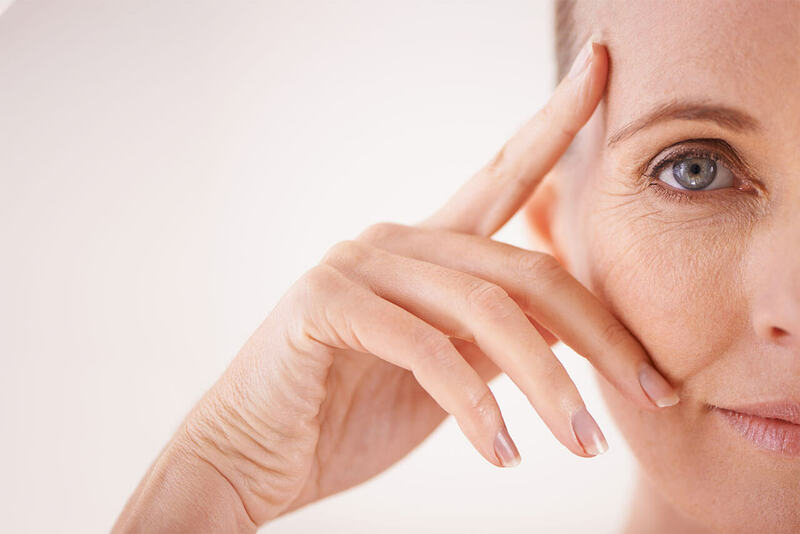 AGEs stiffen healthy collagen fibers and compromises their regenerative ability, leading to wrinkled, sagging skin. According to research, glycation of the dermis generally begins at age 35 and accelerates as we age. AGEs also decrease proliferation of and even kill dermal fibroblasts, the cells that produce collagen. Glycation also damages elastin, another protein in the dermis that is responsible for skin elasticity. According to a 2011 study, UV (sun) exposure coupled with the presence of sugars stimulates glycation of elastin, decreasing the protein’s elasticity. Researchers have also found AGEs accumulating in sun-exposed skin of younger people whose protected skin (like that on the underside of the arms) showed no significant AGE accumulation. And, of course, like any good super villain, AGEs recruit an army of nefarious imposters to exacerbate their damage: free radicals. These reactive molecules further destabilize healthy cells and tissues, and inflict their own brand of damage, including hyperpigmentation and attacks on collagen. Get your blood glucose under control. Limit the number of Glycation reactions to the ones you need to provide your body with energy. Avoid simple carbohydrates — the ones that don’t contain fiber and vitamins — as these are digested so quickly that they can spike your blood sugar. Sleep. Get regular exercise. All these lifestyle choices help get blood glucose into an acceptable range. That will help, create less opportunities for AGEs to form, but over time, they’ll still accumulate in your body. Some researchers have also found AGEs in food due to a reaction that occurs when cooking food over high heat, particularly when that heat is dry. Meats and foods with higher fat and protein content are more susceptible to the formation of AGEs during common cooking techniques like grilling, frying, searing, roasting, and broiling. Even uncooked, nuts, meats, and cheeses have higher levels of dietary AGEs than raw fruits and vegetables. No nutritionist would recommend a diet of only raw fruits and vegetables, so it may be more realistic to include the nutrients that combat AGEs rather than eliminating all foods that contain them. Many cells have natural pathways to prevent AGE accumulation. The glyoxalase system, for example, uses glutathione to convert AGEs to a less toxic substance. Unfortunately, researchers have found that activity of this process decreases with age. Maybe that’s because it’s only one of many processes that depend on gluthatione, and since your body’s glutathione production slows as you age, you can’t count on this process to take care of all the advanced glycation end products. You can strengthen this particular system by enhancing your glutathione levels. Glutathione is notoriously difficult to absorb via traditional oral supplements, so many choose to supplement with glutathione precursors. Studies have confirmed that Acetyl L-Carnitine and R-Alpha Lipoic Acid help to boost glutathione levels, and we offer both those nutrients in potent liposomal form. IV glutathione is also an option, as is our Lypo-Spheric™ Glutathione that bypasses absorption barriers that make pills a poor choice for this master antioxidant. 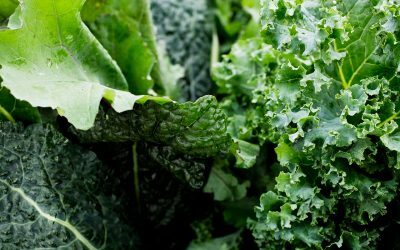 Other antioxidants — including Vitamin C, riboflavin and niacin (B vitamins), zinc, selenium, α-tocopherol and trolox (types of Vitamin E), and manganese — demonstrated the agility to inhibit glycation of albumin. Spices like ginger, cloves, cinnamon, marjoram, tarragon, and rosemary exhibited similar abilities. 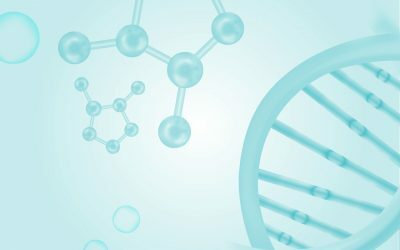 The aforementioned Alpha Lipoic Acid reversed collagen glycation in rats, which researchers attributed partially to its own antioxidant capabilities as well as its ability to recharge other antioxidants. In a human trial, Vitamin C supplementation decreased serum protein glycation by 46.8% over 4 weeks. Keeping Vitamin C levels high is essential just for creating collagen in the first place, in addition to saving it. 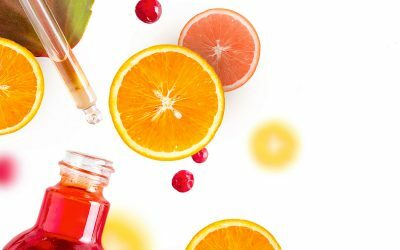 Topical Vitamin C products work wonders for epidermal (outer layer) skincare, but Vitamin C can only reliably reach the dermis (where the collagen is) through the bloodstream. 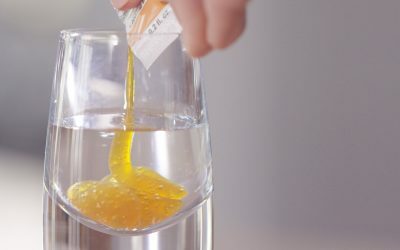 Because of its ability to outsmart the body’s restrictive nutrient transport system and deliver Vitamin C to the bloodstream for distribution to the cells, our Lypo-Spheric™ Vitamin C has become a popular ingestible for collagen support. And it’s why Elle Magazine named our 1000 mg Lypo-Spheric™ Vitamin C an Essential Beauty Product. To date, the two most effective AGE inhibitors in living organisms are the Vitamin B1 derivative, benfotiamine; and the Vitamin B6 derivative, pyridoxamine. More recently, Niacin, Vitamin B3, has shown promise in clinical trials. Benfotiamine: This is a fat-soluble derivative of vitamin B1, thiamine, which is naturally found in foods like beef, milk, and nuts. B1 has been found to block the Advanced Glycation End-product formation pathway. The synthetic benfotiamine is preferable to its natural counterpart due to its 5X higher bioavailability, meaning that a higher proportion of it enters circulation where it can be distributed to the parts of the body where it is needed to stop advanced glycation end products from forming. This means vitamin B1 inhibits the production of AGEs that wreak havoc on your bodies as you age. The benfotiamine derivative is better absorbed by your body, letting you get more AGE inhibition out of it than thiamine. Pyridoxamine: This naturally occurring form of Vitamin B6 — found in fish, chicken, and whole grain products — has also been found to inhibit the formation of AGEs by stopping the intermediate glycation products from converting to the damaging advanced stage. Niacin: Also known as Vitamin B3, Niacin has been found to inhibit the glycation that creates these unwanted end products. You can find it in turkey, chicken, peanuts, and numerous other foods. All three of these B vitamins are readily available in dietary supplements, and you can find Benfotiamine and Niacin (as Niacinamide) in Lypo-Spheric™️ B Complex Plus. Like Vitamin C and Glutathione, the B vitamins are water-soluble and difficult to absorb through traditional oral pills. Because of the critical role each of these nutrients plays in the skin (combatting AGEs and more), avant-garde skincare retailers like CAP Beauty carry this trio on their shelves. So, in a couple years when everyone’s in a panic about advanced glycation end products, you can just smile and flex that firm skin. You heard it — er, read it — here first. What’s the Buzz About Alpha Lipoic Acid Skin Care Products? Can these three products be taken simultaneously? The only thing I take on a daily basis is Claritin D. Is it ok to take these with it? Oh, and 1 more question . Is it ok to take with my turmeric supplement? Hi! We haven’t heard any issues with taking our supplements in combination with the products you mentioned, but it’s best to check with your doctor to be 100% sure. Is Niacinamide safe for the liver? Yes. It’s a type of B3. What Produces Collagen? Hint: It’s Deeper than the Skin.